When you find yourself waking up on the weekend without any plans for the day, why not expand your creative horizons? Perth Creative Co run weekly workshop varying in activity. 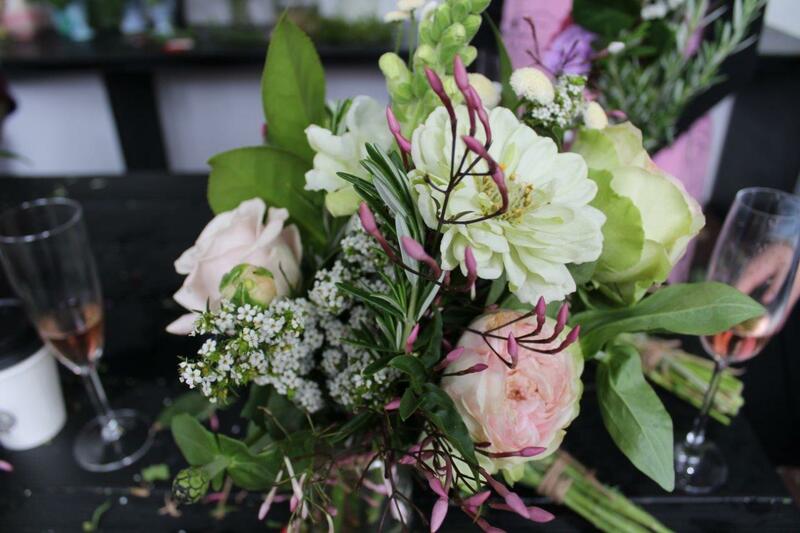 This particular time, it was creating your very own Floral Herbal Posy. BYO green thumb! It’s cold, let’s get creative. On this stormy Saturday morning, I ignored the urge to stay wrapped up in bed, and instead decided to head into the city for something a little out of the ordinary. Tucked away on Hay Street, is a place almost completely invisible unless you know where to look. We’d chatted to the founder Magda Thibaut of Perth Creative Co previously, and she’d invited us along to join in on the fun. 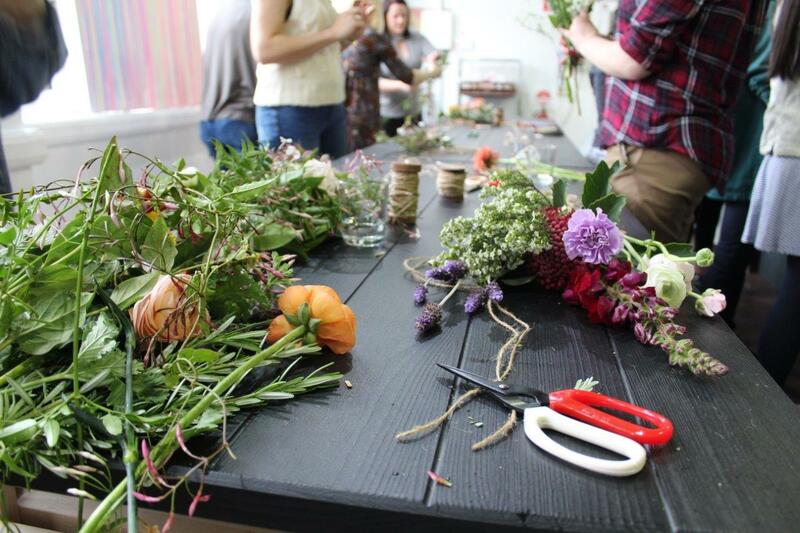 Every weekend a new creative course is run, on this occasion it was learning how create a Floral Herbal Posy with The Flowergirl herself, Clare Cummings. 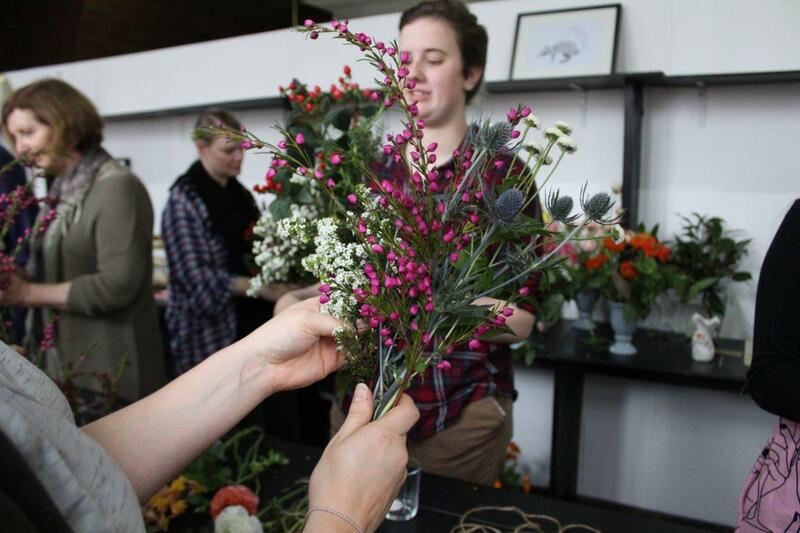 It was a sold out event, where a small group of ladies were able to learn from the Wanneroo florist the how-to’s on posy arranging. 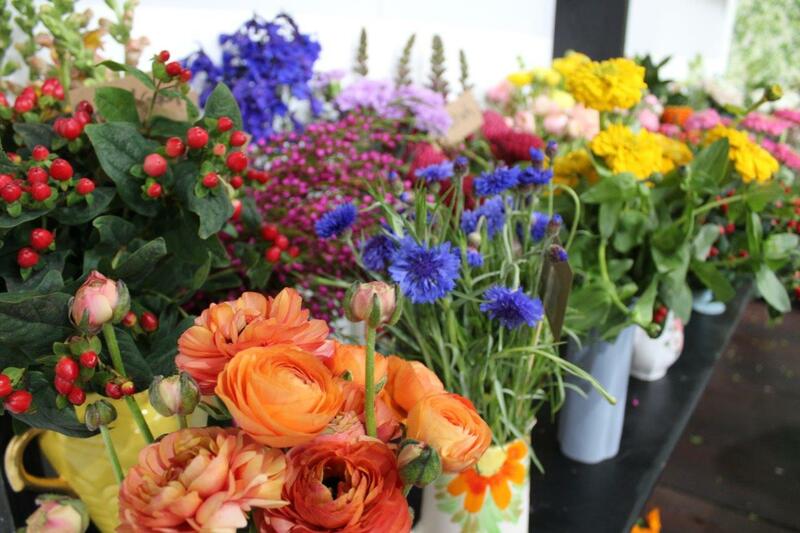 The flowers were sourced from either local vendors or foraging, and repurposed glass jars were available in the place of vases. There were flowers and greenery aplenty, the colour spectrum represented in full to appeal to everyone’s individual preferences. Given my love of purple and the stormy weather conditions, my posy choice was focused on the cooler colours. I cannot say I have any experience in this particular activity but it’s hard to go wrong when you are working with such beautiful products. After a few false starts I managed to find my floral groove and put together a posy that even I was quite impressed with. Filled with the likes of rosemary, lavender, thistles and delphinium, it was a full jar. Despite it not being the most cohesive look, I still managed to put together a pretty decent posy. The best part was being able to look down the shared, long table at everyone else’s posy, each one different from the next. Despite some picking a similar assortment of flora no two were the same. You really gain an appreciation for the art of arranging as some people just have an eye for it. We were refueled with a coffee to perk us up, followed by a glass of sparkling to help us relax and help loosen up the creativity. Did I mention we got cake? 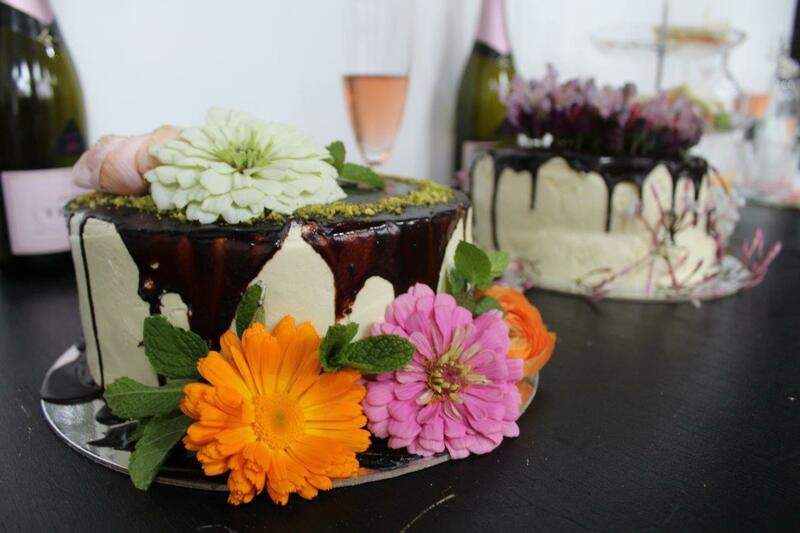 Well we did, a slice from one of the sweet treats from Carina’s Kitchen Perth, decorated with fresh flowers on the day by Clare herself. Workshops run every weekends with new activities always popping up. If you want to attend this particular course, you haven’t missed out, The Flowergirl will be returning again to help you find your own green thumb. 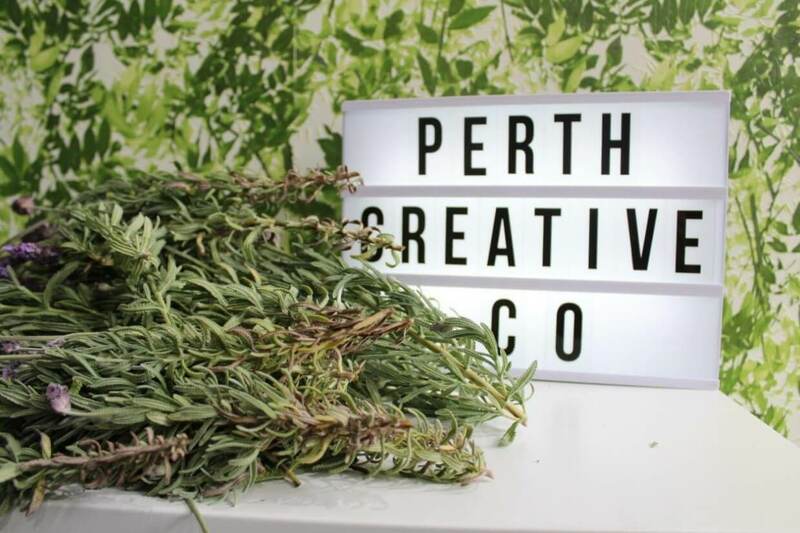 For more information on upcoming workshops or how you can get involved visit Perth Creative Co.